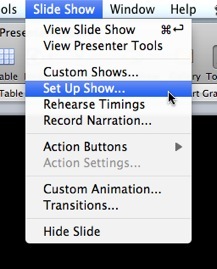 We recently discussed how to both automatically start a Keynote presentation, and how to automatically stop a Keynote presentation, all to a schedule. 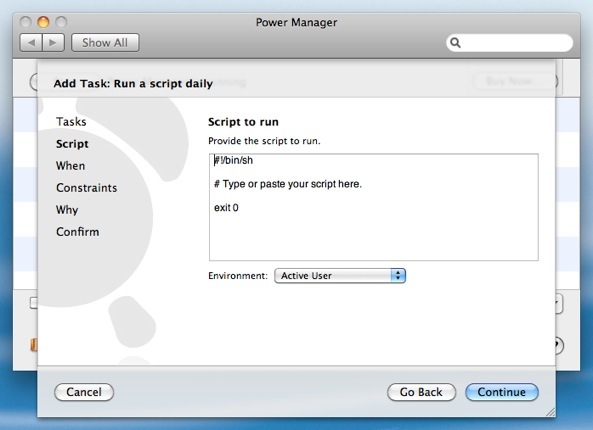 This time, I would like to cover how to automatically start a Microsoft PowerPoint presentation on Mac OS X using Power Manager. 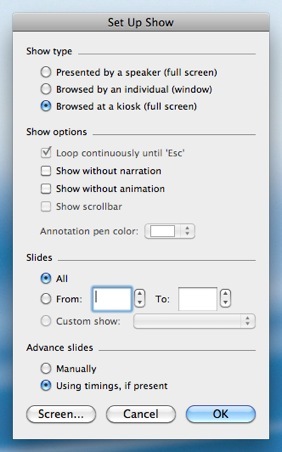 Unlike Keynote, starting a PowerPoint presentation requires a little bit of AppleScript. If you are not familiar with AppleScript, do not worry. We will walk through each step needed. Select the Browsed at a kiosk (full screen) option. 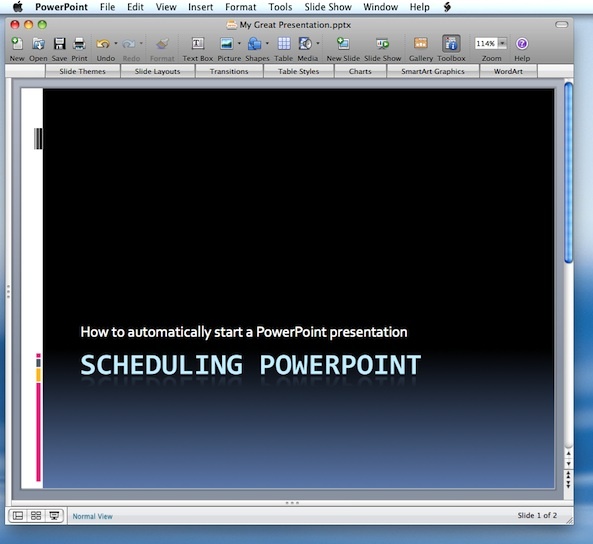 Save a copy of your presentation on the Desktop. For this example, I am calling my presentation My Great Presentation.pptx. You will need to use the name of the file in your AppleScript. 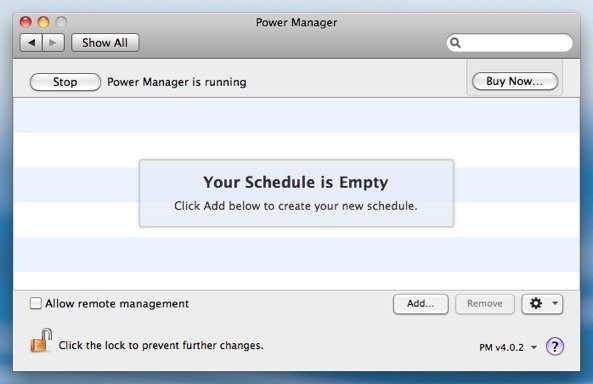 Your presentation is now ready to be started by a Power Manager event. 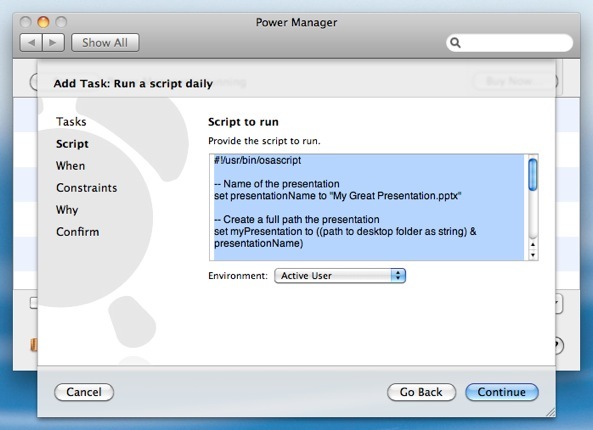 set presentationName to "My Great Presentation.pptx"
Continue to the next When step. Your PowerPoint presentation is now ready and scheduled to automatically begin playing. 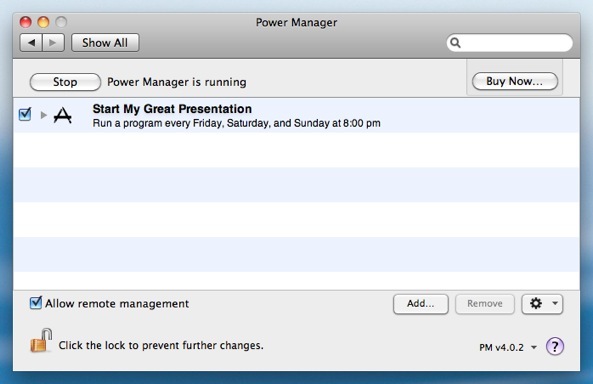 Power Manager will wake up your Mac if it is asleep when the presentation is due to start. 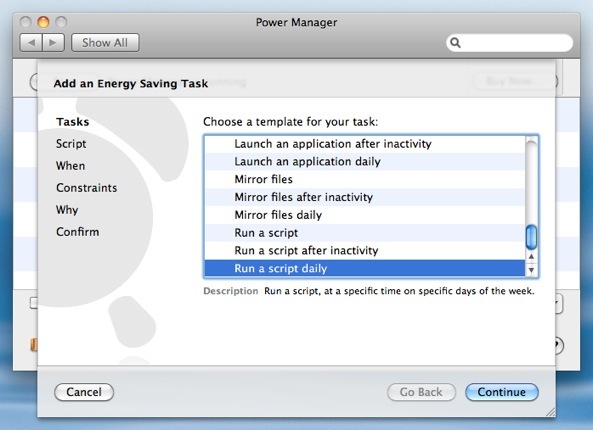 If you need to power on and power off your Mac, Power Manager can help with these tasks as well. 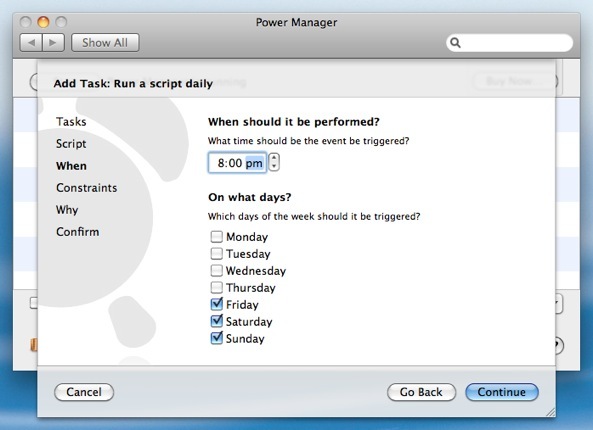 This article was posted in PM4, Power Manager, and Recipe and tagged AppleScript, dssw, Power Manager, PowerPoint, presentation, and recipe.